We’re still celebrating one year of FIRESTORM FAN.com this week! 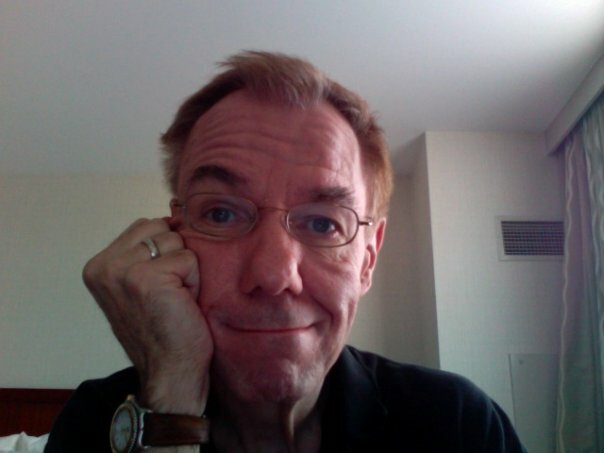 Today we’ve got part two of our interview with Firestorm co-creator, Gerry Conway! If you haven’t listened to part one of the interview, please click here. As I mentioned the other day, Gerry was absolutely wonderful to talk with. I really appreciate how generous he was with his time. We talked for roughly 80 minutes about Firestorm’s creation, artists, the writing process, creator rights, the DC Implosion, merchandise, where the character has journeyed since his involvement, and much more! Gerry and I spoke so long, I had to break the interview into two parts. The first part ran about 50 minutes long, while this second part runs about 30 minutes. You may play part two of the interview right here on the FIRESTORM FAN site with the handy-dandy player below! I apologize for not offering the interview in text format, but transcribing an interview that long would have taken months. Alternatively, you may download the file and listen to it on an MP3 player or your computer. You may download part two of the interview by right-clicking here, choosing “Save Target/Link As”, and selecting a location on your computer to save the file (28.5 MB). Thanks for stopping by and I hope you enjoy the interview. To keep up with Gerry, be sure to check him out on Twitter and Facebook. If that’s still not enough Gerry Conway Firestorm action for you, then check out Back Issue Magazine. Gerry along with several others did a fantastic interview about Firestorm for Back Issue magazine three years ago. If you haven’t read it, issue #20 of Back Issue is available as a digital download from TwoMorrows Publishing. The PDF is only $2.95, so go check it out! Posted in: Comic books, Firestorm #01: Original (Ronnie/Martin), Firestorm comic vol. I, Firestorm comic vol. II, Gerry Conway, Interview, Professor Martin Stein, Ronnie Raymond. It’s good to here from the creator of Firestorm (even though I’m not as adverse to changing characters as he is). I really loved the Gerry Conway Firestorm issues! I sure hope DC will return this iconic character to it’s creator to correct the mistakes of the past and give us a FIRESTORM REBIRTH! Also would love to see the early material collected in the Archive edition. Great interview! Gerry sounds like a nice guy not only of the greatest comic writers & writers in general. Firestorm is an awesome character whose costume rocks and an original masterpiece. I agree with him. Changing him dramaticly is just wrong. Would anyone change Bruce Wayne/Batman. Clark Kent/Superman. Remember Superman’s weird electric form of the 90’s? Yuck!